Here's a succinct, up-to-date summary of the physiological processes that take place in the human body, written in a straightforward and easy-to-understand manner. Derived from Berne et al. 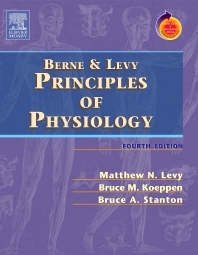 's more lengthy text, Physiology, 5th Edition, it concisely and efficiently covers all of the most need-to-know concepts in the field. Updates include discussions of how the most recent findings in molecular biology and genetics affect our knowledge of physiology. A wealth of case examples, full-color artwork, review questions with answers, and boxes, tables, and graphs help readers to easily and thoroughly master the material. Provides shaded "clinical boxes" to demonstrate abstract concepts' relevance to human physiological phenomena. Offers case examples that show how physiological processes respond to various stimuli or to pathological processes. Delivers hundreds of full-color illustrations that make complex physiological principles easy to grasp quickly. Includes abundant graphs, figures, and tables that display information at a glance. Presents review questions and answers that allow readers to evaluate their comprehension.